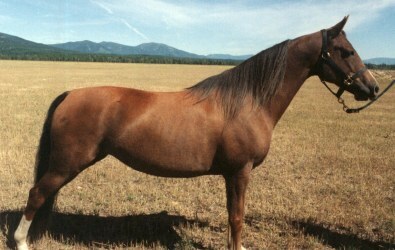 This thirteen year old chestnut mare is a full sister of 1989 Far West Regional Champion Mare, MiSue B-Sharp. Although Time has never been in the show ring, she displays the same quality and elegance which her sister and her sire, Shaker's Alimon, possessed. Her disposition is reminiscent of her dam, Noble Susan. 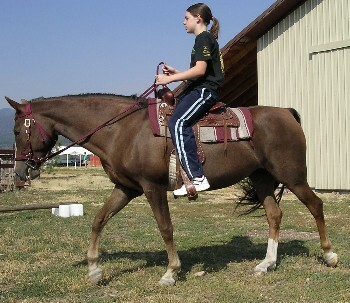 Also look at the photos of her colts, MiSue Time Traveler, and MiSue Time in Motion. They were sired by Crown Master Peace.